You may know Friends of the Dunes for our Annual Sand Sculpture Festival, or our school programs that have introduced thousands of Humboldt County students to the coastal dunes, or maybe you know us as the group that opened up the Humboldt Coastal Nature Center. We are all of those things and more, including being a group working to involve the community in restoring the natural diversity of coastal environments by removing invasive, non-native plants like European beachgrass. 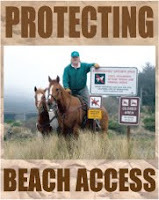 Friends of the Dunes has been involving the community in coastal conservation for over 30 years. We are an active member of the Dunes Cooperative that facilitates coordinated ecosystem management of coastal dune environments through collaboration of local land managers. Our staff and Board of Directors have expertise in natural resource management, geology/geomorphology, wildlife biology, plant ecology, and education. There have been some misconceptions circulated lately about coastal restoration activities and their impacts. We would like to offer some insight about the process of restoration, how it helps restore natural diversity and its relationship to coastal processes. Friends of the Dunes works with experts in coastal land management, scientists working in coastal processes and members of the local community to support the restoration of resilient coastal ecosystems, while also accounting for the needs of neighboring communities. The goal of dune restoration is to restore the natural diversity of plants and animals to the dunes and help return, where appropriate, the natural processes that sustain dune ecosystems. It is the varied conditions caused by a constantly shifting, changing landscape that creates the unique, diverse habitats for plants and animals that we enjoy today. Dunes are by nature moving and dynamic. In some places forests become covered with sand, while in other areas new forests develop. Open sand is often quickly colonized by early successional plants. Wetlands are formed when dune swales are carved out by the wind down to the water table, but their locations shift and change as sands move. It is an active cycle of processes that creates and sustains these shifting habitats and biological communities. Our dunes are wide and broad with a relatively low foredune, a broad, undulating expanse of mid-dunes and much higher forested back dunes. Unlike some places along the Oregon coast, where houses are built right on the coastline, most buildings and homes along our coast are at least a quarter of a mile or more from the beach, and were built in stable, forested back dunes. 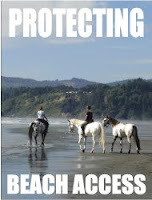 This makes it possible to restore some dune processes, closer to the ocean, without threatening property and homes. In areas near communities or infrastructure, we are adapting our approaches to restoration to include plantings of native dune plants, which reduces sand movement. We are open to dialogue about how to incorporate the best science available to ensure that the beauty and dynamic nature of the dunes is enjoyed today and for generations to come. How to adapt to ongoing climate change is one of the important questions in coastal dune management today. Friends of the Dunes will continue to work with scientists and coastal land managers to develop and implement the best dune management and restoration practices for our coastal areas. We will further the work of coastal conservation by sharing the beauty of our coast to students, visitors and community members through educational opportunities, restoration efforts and conservation projects. We do this because we believe that connecting people to nature is an essential part of conserving and protecting the ecosystems which sustain us. Carol Vander Meer is executive director of Friends of the Dunes.